Make a golf trip to Pinehurst, Asheville or Wilmington to experience the golf great's greens yourself. In North Carolina, the name “Donald Ross” and golf are synonymous. This golf legend has left a lasting legacy which has shaped the state’s golf history and courses. Make your next golf trip to North Carolina to experience the greens yourself. Pinehurst Resort made history by hosting the 2014 U.S. Open and U.S. Women’s Open during back-to-back weeks on the newly restored, Ross-designed Pinehurst No. 2. While pros and presidents have helped build its reputation, anyone can play No. 2 as a resort guest. If you play here, look for the architect’s 4,500-square-foot home that sits off the third fairway. The resort’s No. 1 and No. 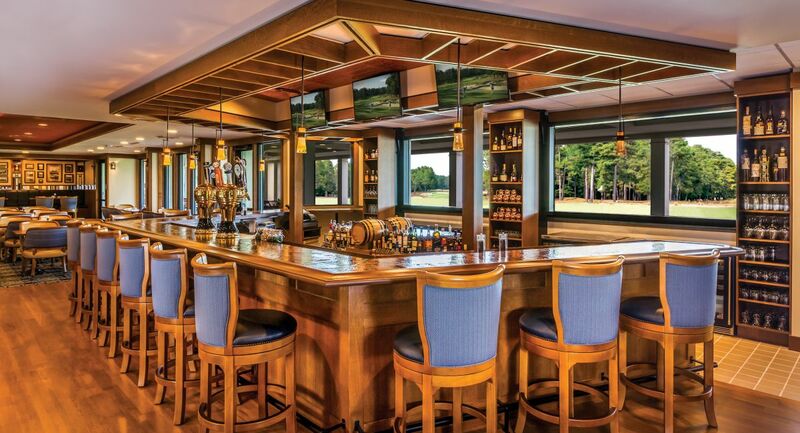 3 courses also carry his signature, and at the Resort Clubhouse, the Donald Ross Grill reminds players he also served as Pinehurst’s Grill Manager. 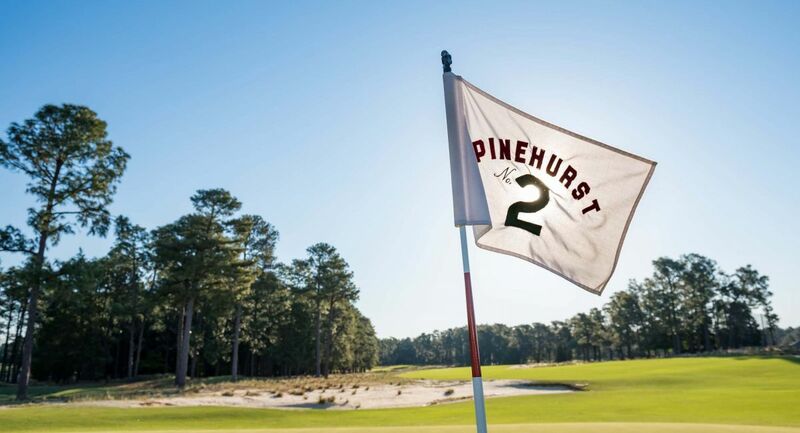 Carrying out tradition in a new way, Pinehurst opened The Deuce in 2016. This stylish restaurant and bar, adorned with vintage photographs and memorabilia, offers the best view of No. 2's 18th hole. 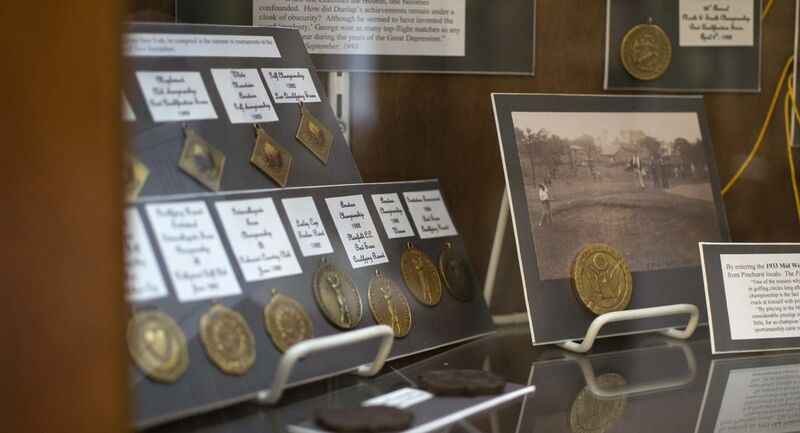 To learn about the life and history of Donald Ross, head to the Village of Pinehurst. Here, the Tufts Archives houses original field sketches, layouts and blueprints of Ross courses as well as personal letters and correspondence. Located in the village, the Pine Crest Inn was purchased by Ross in 1921 and owned until his death in 1948. It’s full of golf history and still welcomes golfers today. Ross’ presence in North Carolina extends beyond America’s premier golf resort. According to research by the Donald Ross Society, he shaped more than 50 courses between Asheville and Wilmington. About 40 of them remain in play with their attribution intact, and the public has access to about half. Here’s a selection of courses that join Pinehurst in honoring Ross’ legacy. The Omni Grove Park Inn is Pinehurst’s only rival in the name-dropping department – for one, President Obama played 18 holes here during a 2010 weekend getaway. The course, a regular PGA Tour stop from 1933 through 1951, is a thing of phenomenal beauty with its mountain vistas, tree-lined fairways, meandering stream and the stunning granite inn. Another Ross course you can play while in Asheville: Asheville Municipal Golf Course. Pinehurst’s neighbor in North Carolina’s greens-rich Sandhills rises high on the national landscape as the chosen course for three U.S. Women’s Opens. Pine Needles adds even more stature through the resort’s founder, Peggy Kirk Bell, the player-teacher extraordinaire. At its sister resort, Mid Pines, the Ross-designed course has undergone a tee-to-green restoration that was completed in August 2013. And nearby Southern Pines Golf Club stands as a classic Ross layout. North Carolina’s original golf course was built here, but its 14 holes were abandoned in favor of Ross’ handiwork. Having never undergone a major redesign, the Linville Golf Club remains authentically Donald Ross. Ross designed a links-style course for Wilmington, a port city on the Cape Fear River. In 2014, "the Muni" underwent the largest renovation project in its history, which included doubling the size of the greens and restoring the bunkers to their original size and shape. The last course designed by Ross opened for play in 1949, a year after his death, and its consummate restoration in 2005 was faithful to his vision. Raleigh Country Club is private, but travelers can get to the greens with a McConnell Golf Trail package. Other options on the trail include Sedgefield Country Club and its Ross-designed course, home of the Wyndham Championship.